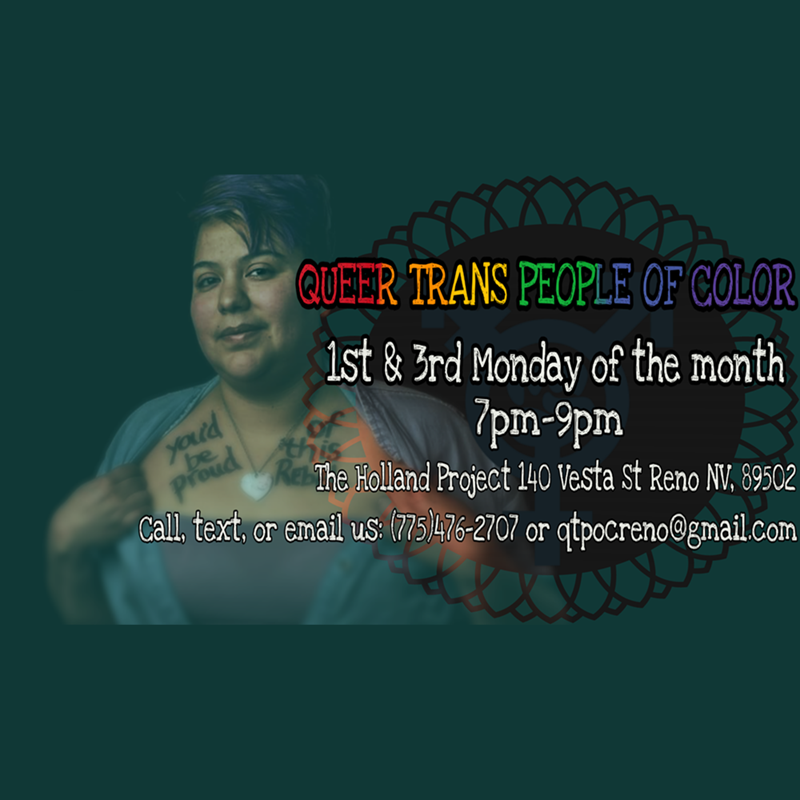 Queer Trans People of Color meetings occur every 1st and 3rd Wednesday at The Holland Project. These meetings are hosted by the Sylvia Rivera Center and if you have questions please call or text 775.476.2707 or email qtpocreno@gmail.com. « *POSTPONED* Twin Peaks Bingo Night!